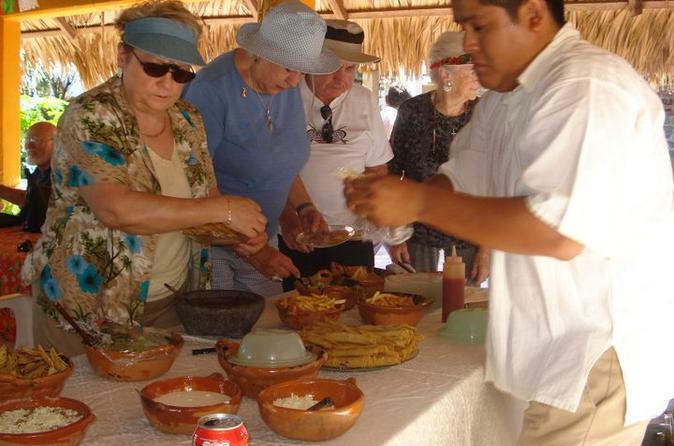 Discover Mexican cuisine at a cooking demonstration followed by lunch. Stop at the market to buy the ingredients to cook the famous Mexican fajitas. The chef will offer a step-by-step demonstration and will share the recipe with you. After lunch you will have some free time to enjoy at the beach before going back to your hotel or port. After picking you up from your hotel or the ship terminal, you will head to the market to buy the ingredients for cooking. During the market visit your tour guide will explain how the market became so important to Mexicans and the colors and flavors of the fruits and vegetable will take you on a trip around the Mexican cuisine. Once you finish at the market, you will conitnue to the restaurant at the shore of the beach where you will watch the chef cook and get the chance to make your own tortilla, hot sauce and fajitas. You will then enjoy the dish that you have just cooked followed by some time at the beach before going back to your hotel/port.